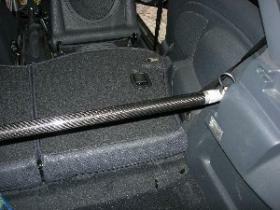 Enhances the inflexibility of the rear part of the car while helping it's control. Made of carbon, light weight and also style. Easy installation while rear seats remain in their place.